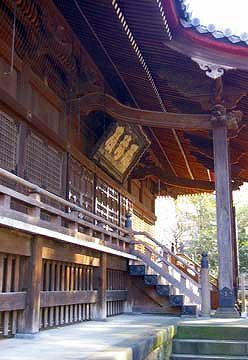 Kaneiji had ever been the most high ranked and the biggest temple in Edo covering all of the area of current Ueno park and more. 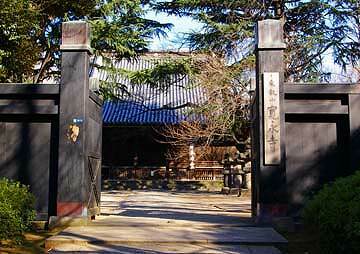 It was founded in 1625 by the Tendai priest Tenkai under the patronage of Ieyasu, founder of the Tokugawa shogunate. Tenkai selected the site because it was in the direction that evil spirit had been believed to come, and therefore the temple would protect the castle of Edo from the evils. He built the temple in the image of Enryakuji, the head temple of Tendai sect Buddhism in Kyoto comparing the hill of Ueno to Hiezan and Shinobazunoike pond to Biwako lake. The main building called Konpon-chudo was erected at the place where the big fountain in front of the National Museum is situated today. Great number of buildings composing the main complex and 36 subordinate temples were also built around the area.Most of them were burned down during the fight between the pro-imperial forces and the shogunate in Meiji restoration. 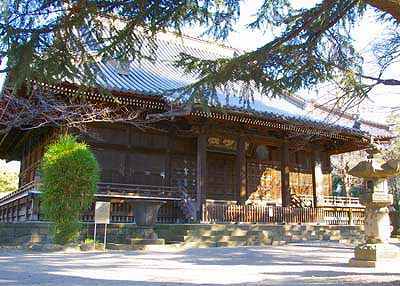 After the Meiji restoration, most part of the area of the temple was changed into the public park, and the tradition and the name of the temple was succeeded by a former subordinate temple. sitting along the outskirt of the original temple’s vast area. 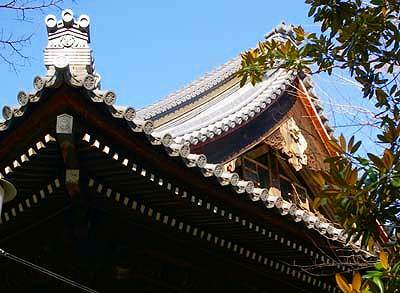 It had been called Dihi-in, Great Sorrow temple. He took refuge into this temple. which also was founded by Tenkai. 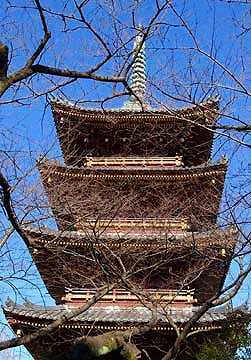 The five storied pagoda survived the Meiji restoration and other disasters. Today, it stands in the area of Ueno zoo.